The Second Age: Who Is Terry Jones? Terry Jones is a genius. He has been able to combine his two passions in life - attention whoring and Islam hating - into one centrifugal media hurricane. The cable stations and tabloids cannot get enough of Jones and his hateful ways. He has gone from a following of 50 Floridians to worldwide fame, all for free. He did not have to pay a cent to have his face plastered all over the television. And what's even sadder is the way he did it. Before 9/11 if someone came out and said they were going to burn a bunch of Qur'ans, we would ignore it. It might make the back page of the Gainesville Sun under the headline, "Local Crazy Man Set to Burn Korans," but beyond that it would have no traction. However, Jones knows how to play the media in this post-9/11, increasingly Islamophobic world. 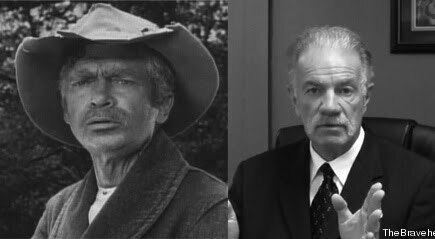 Because the victims here are not only Muslims potentially offended by the burning of their holy book, but anyone who catches this Jed Clampett look-a-like on television and is forced to actually listen to him. To think that burning Qur'ans would accomplish anything beyond inciting a bunch of extremists (who, for the record, have done more harm to Islam than Jones could ever dream of doing) is so shortsighted and farcical that it is equally absurd that Jones is getting a soap box from the media. This guy is a crank and that's the end of it. And it is extremely disappointing that the Obama Administration feels that Jones is worthy of a personal phone call from Defense Secretary Robert Gates. We're fighting two wars in the Middle East and Gates is taking time out of his day to talk to this guy? You know what would have happened if everyone had done the prudent thing and left this whole thing alone? 50 people would have gathered in some wooded area in Florida and burned a bunch of cheap Qur'ans and no one would be the wiser. Now, Jones is so important that high-level cabinet members are calling him up and the world is waiting for tomorrow to see if wisps of smoke and microscopic pages from the Qur'an rise over the Dove World Outreach Center. And that's exactly what Terry Jones wants.